Color Club Ultra-Astral is my last Starry Temptress polish (until I order the rest), but it's the one I wore as a full mani first! 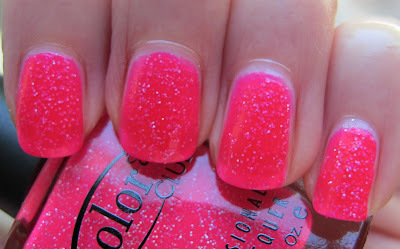 I am loving this color, it's so bright it almost glows! 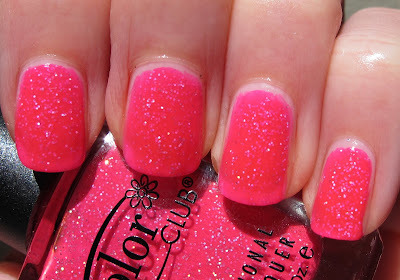 My pictures are pretty bright, but the polish is definitely brighter in person. 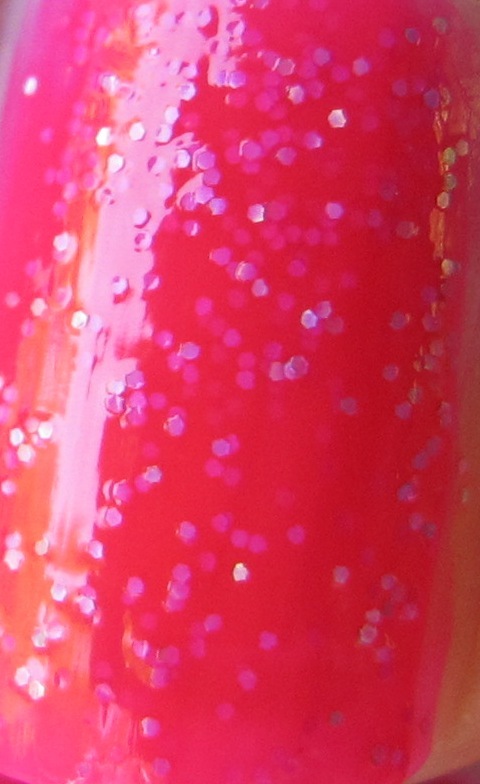 Ultra-Astral is a shocking medium pink neon with silver holo glitter. 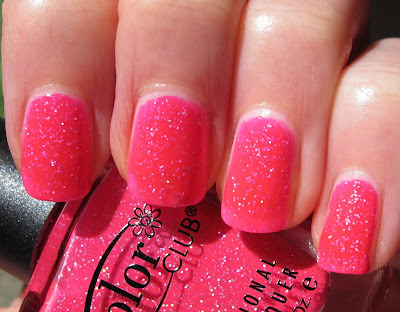 It will look great on nails or toes all summer long and can basically glow in any light, indoor and out. 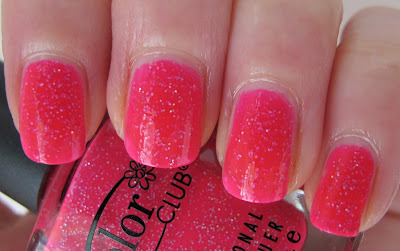 This had the same great formula as the other Starry Temptress polishes I tried. Shown in all pictures is three coats. Again, there is a bit of VNL, but with neons, a bit of VNL never bothers me. Overall, this looks like it was a really great release from Color Club, probably one of my favorites of theirs in recent history. I'll definitely post the remaining shades up when I get them. Wow, this color looks amazing! And like it's glowing.